On 8 November, it was widely reported in the local press that Singapore actor Chin Han joined the US TV drama series Last Resort. The series revolves around the crew of a powerful nuclear submarine which found themselves being targeted by their own country instead. Subsequently, they seek refuge on an island and declares war on their home country. Chin Han will embark on a role as a Chinese ambassador named Mr Zheng, who works with the captain to negotiate supplies for the starving crew and islanders. His character is slated to appear in several episodes of the action-drama. 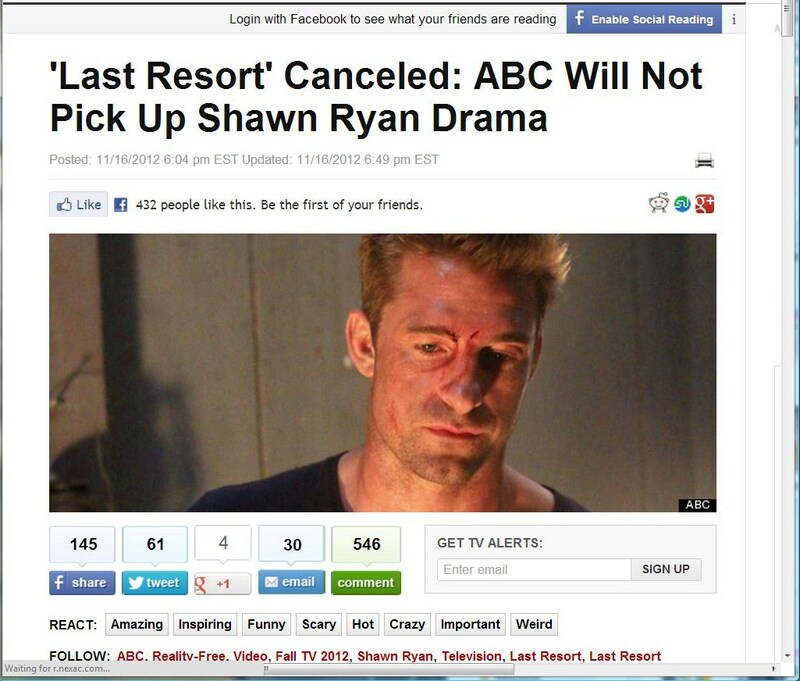 A week later, Last Resort was cancelled. 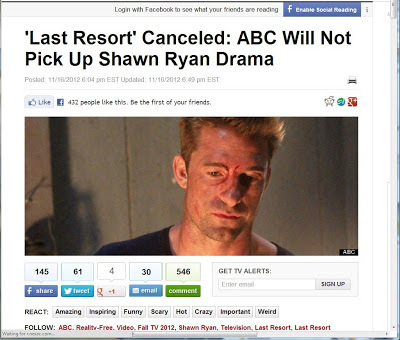 Was the cancellation widely reported here as well? As Heidi Klum says, one day you're in, the next day you're out.